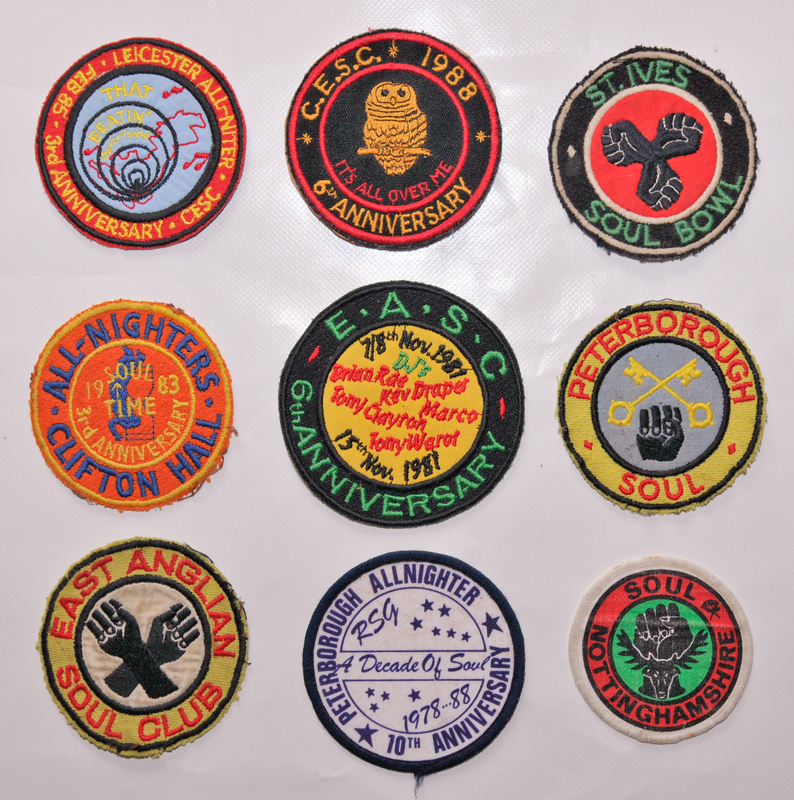 A BRIEF INSIGHT INTO SOME OF THE GREAT MANY EXHIBIT ITEMS ON THE NORTHERN SOUL FRONTS ON DISPLAY AT THE “TASTE OF NORTHERN SOUL DOWN HERE IN THE SOUTH EXHIBITION “….INCLUDES ORIGINAL WIGAN CASINO, TWISTED WHEEL AND OTHER NORTHERN SOUL MEMBERSHIP CARDS, FLYERS, ORIGINAL AND VINTAGE WOVEN CLUB PATCHES , VINTAGE PATCHED SPORTS HOLDALLS,VINYL AND OTHER ASSOCIATED MEMORABILIA . 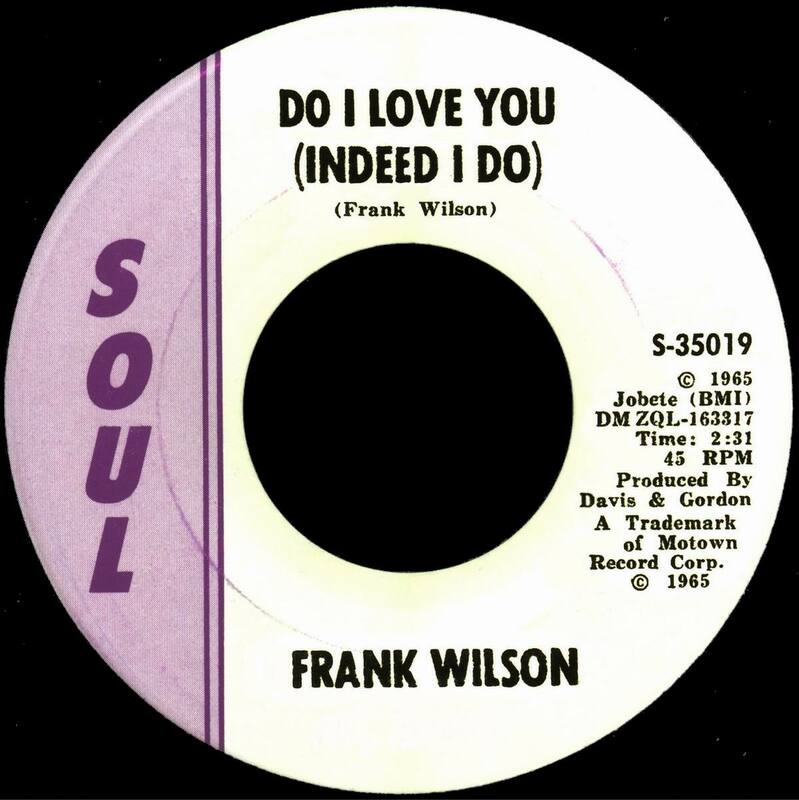 Because of the scarcity of the original single and the high quality of the music (it was one of the most popular records in the Northern Soul movement), it has been championed as one of the rarest and most valuable records in history (along with other “impossible to find” records by such acts as Bessie Smith, Louis Armstrong, and the Five Sharps). 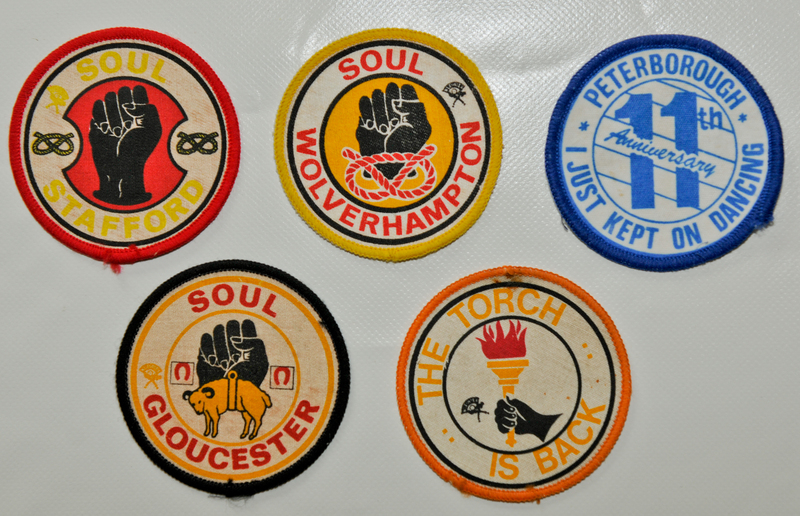 HERE BELOW IS A VERY , VERY BRIEF INSIGHT GALLERY INTO A FEW OF THE ORIGINAL NORTHERN SOUL MEMORABILIA ITEMS HERE ON DISPLAY . DO COME VISIT TO SEE WHAT IS UNDOUBTEDLY ONE OF THE LARGEST PRIVATE COLLECTIONS OF SUCH SOUGHT AFTER MATERIAL . 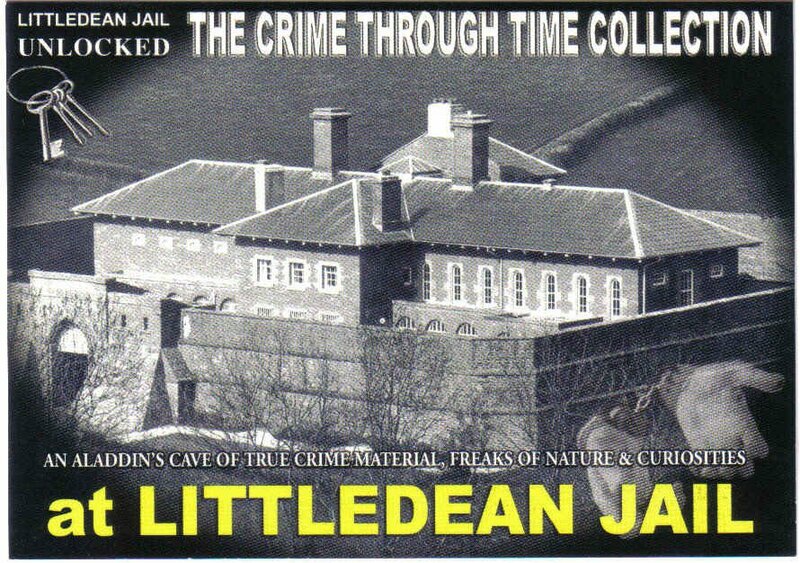 A single dubbed the rarest record in the world sold for £14,543 at auction tonight. 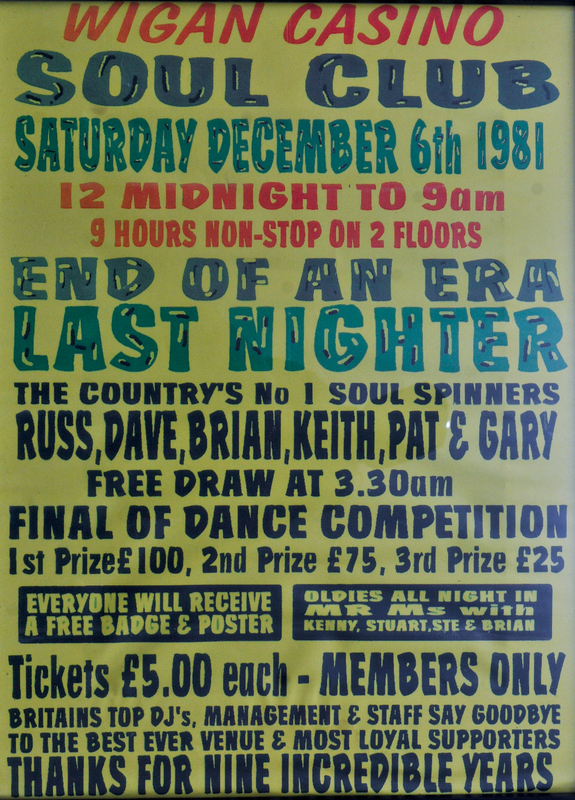 Derek Smiley, a Northern Soul DJ in Cambridge, was among the bidders for Darrell Banks’ club classic Open the Door to Your Heart, but gave up when the price went “out of his league”. 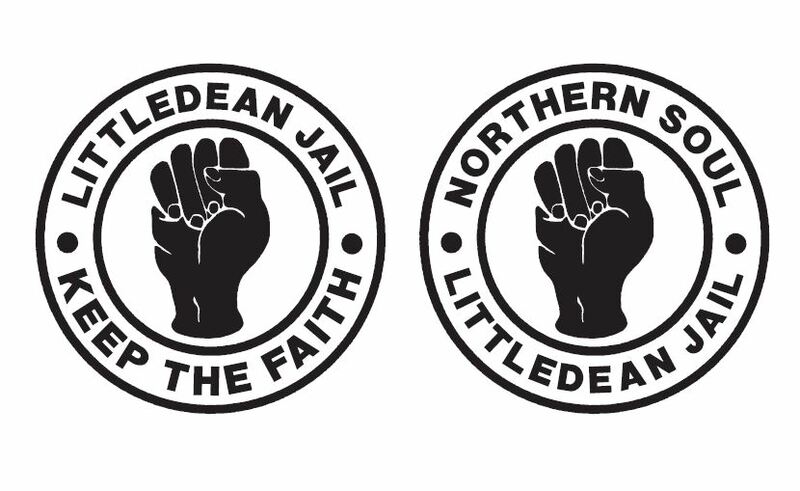 John Manship, who hosted the online auction at raresoulman.co.uk, said the website crashed as “thousands upon thousands” of people visited the page as the auction came to a close at 6pm. 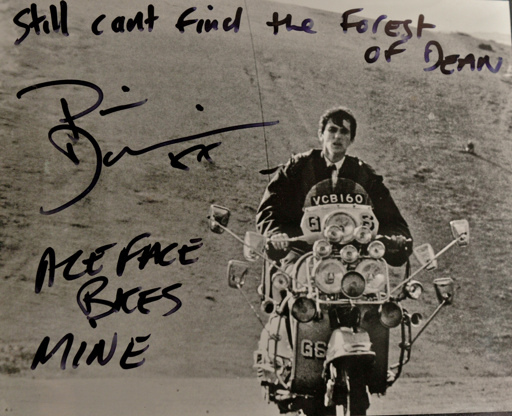 If in the Gloucestershire area ….. do come and visit the UK’s only permanent Quadrophenia Exhibition open to the public. 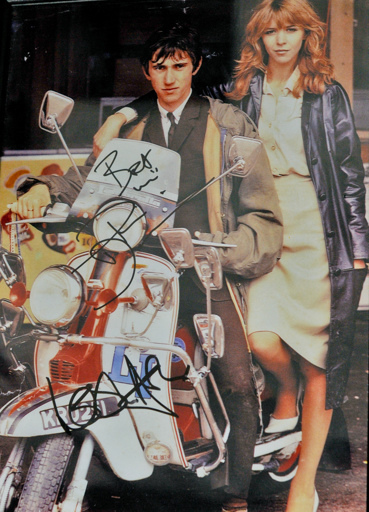 Not forgetting of course ….. our complimenting 1960’s Revisited and A Taste of Northern Soul Down Here in the South Exhibitions . 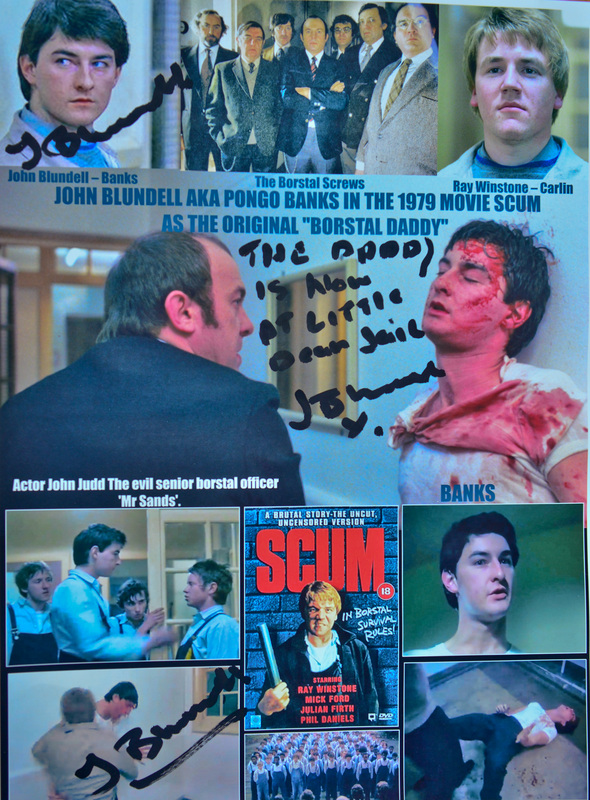 HERE BELOW IS A VERY BRIEF PICTORIAL INSIGHT INTO JUST A FEW OF THE VAST ARRAY OF SIGNED FILM STILLS FROM THE LEADING CAST …. 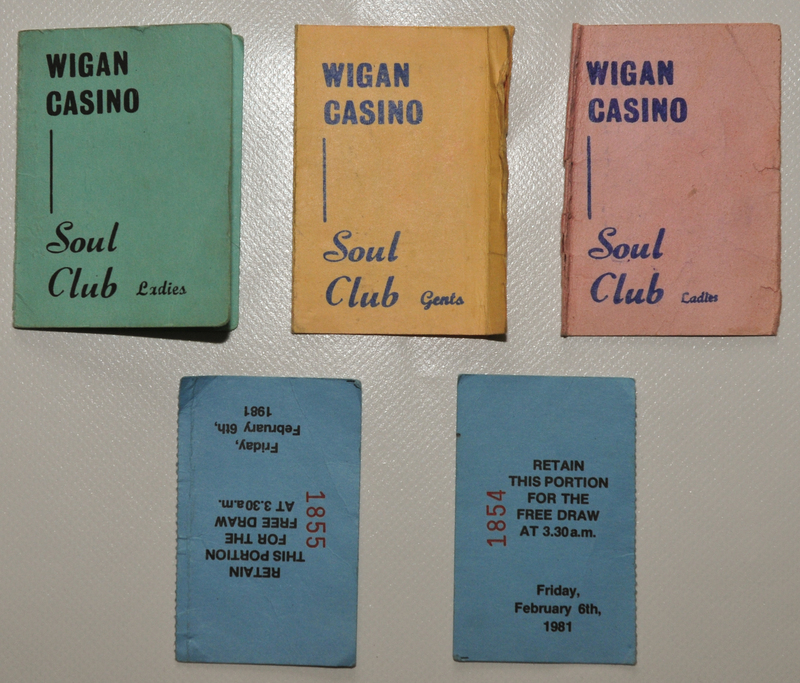 RUSS WINSTANLEY – NORTHERN SOUL DJ AND FOUNDER OF WIGAN CASINO …. 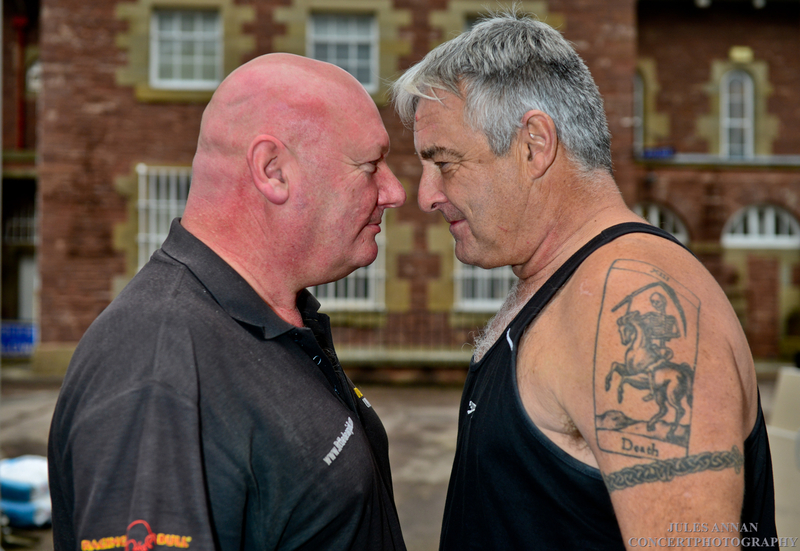 Russ Winstanley born October 1952 is an English DJ, originating from the Beech Hill area Wigan, Greater Manchester. He is best known for his championing of Northern Soul music, most famously when he founded the Wigan Casino in 1973 in his hometown. 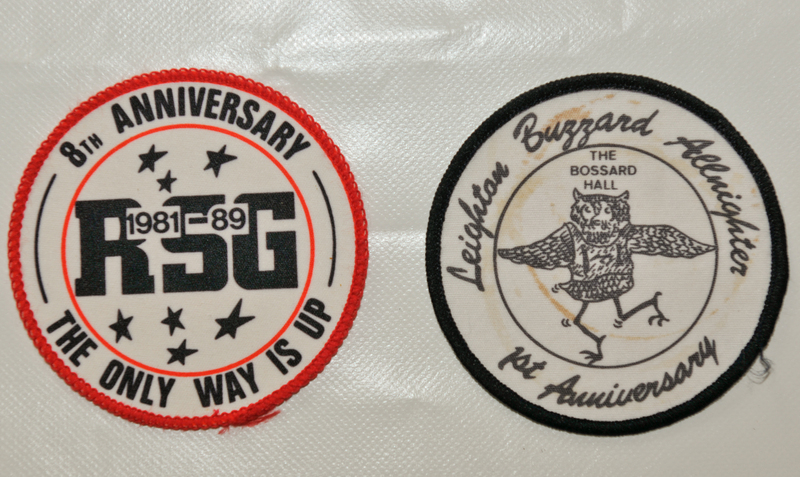 Since its closure in 1981, Russ has still been very active, both on the Northern Soul circuit and in radio. 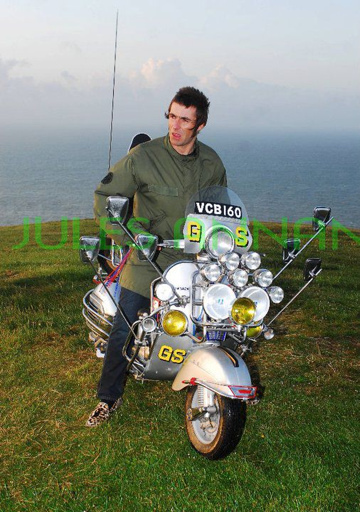 He has hosted his own show on BBC GMR and XFM in Manchester, but is now hosting a regular northern soul show on BBC Radio Lancashire on Saturdays 7pm till 8pm. 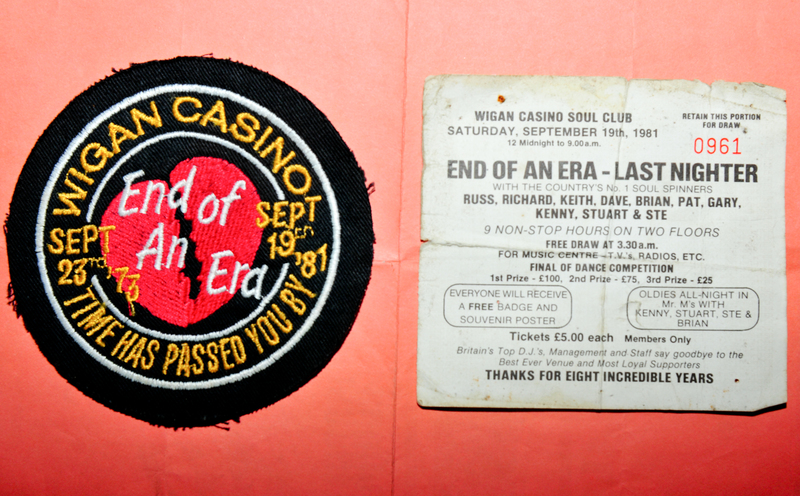 On 23 September 1973, Russ had the idea for putting on and DJing at the famous Soul Allnighters at Wigan Casino. 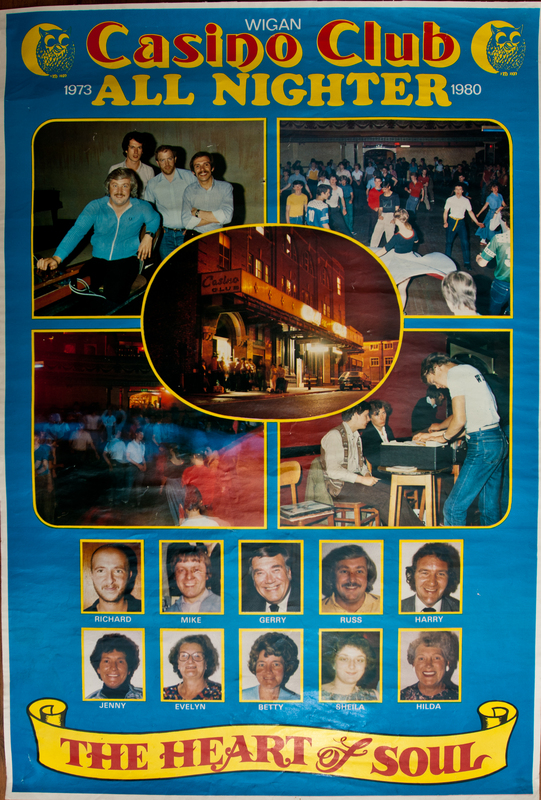 Over 4 million people passed through the venue which ran four nights per week until 6 December 1981. 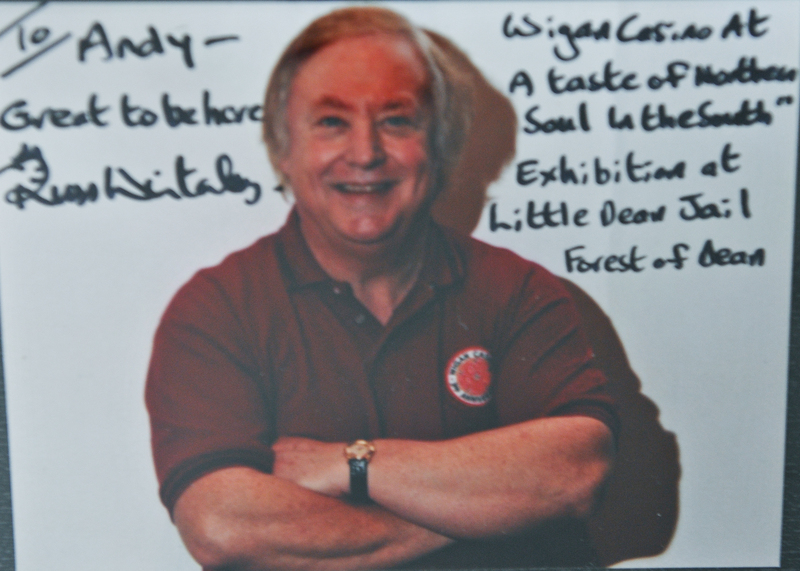 Both Wigan Casino and Russ Winstanley won many awards for best venue and best DJ. In 1997, Russ compiled Telstar Records northern soul album “Soul Survivors” which has become the biggest selling northern soul compilation ever grossing over £2million. In 1998, his book “Wigan Casino Story” joined the best sellers’ list. In 2008, Russ has been featured in BBC TV’s “Soul Britannia” and “Dance Britannia” and special Northern Soul features on BBC Radio 2 and BBC Radio 4. 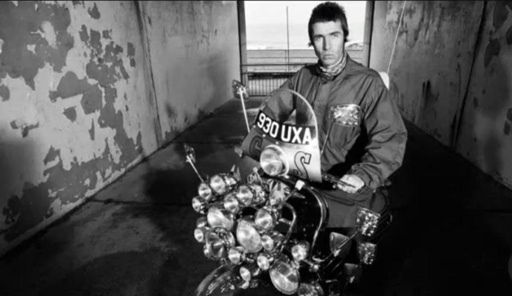 He has also toured with Paul Wellerand Ocean Colour Scene and worked with Paul and Dean Parrish on the singles “Left Right and Centre” and “It’ll Never Be Over For Me“. Russ was also music consultant to the successful play, “Once Upon A Time In Wigan“. 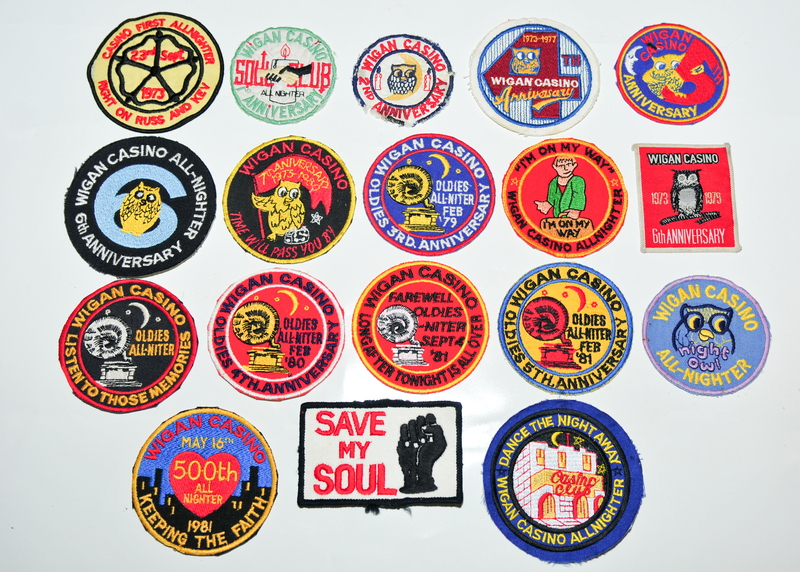 HERE ARE MORE PICTORIAL IMAGES OF THE VARIOUS EXHIBITION MATERIAL HERE ON DISPLAY WITHIN OUR ….. “A TASTE OF NORTHERN SOUL DOWN HERE IN THE SOUTH EXHIBITION” … INCLUDING VARIOUS ORIGINAL WIGAN CASINO AND OTHER NORTHERN SOUL CLUB MEMBERSHIP CARDS, ORIGINAL NORTHERN SOUL WOVEN PATCHES, VARIOUS SIGNED PHOTOGRAPHS FROM VARIOUS ICONIC ARTISTS ETC…… THIS EXHIBITION IS A PERMANENT DISPLAY AS AN ADD-ON TO OUR EXISTING AND THE UK’S ONLY QUADROPHENIA COLLECTION ….. NOT FORGETTING OUR 1960’S REVISITED DISPLAYS TOO. 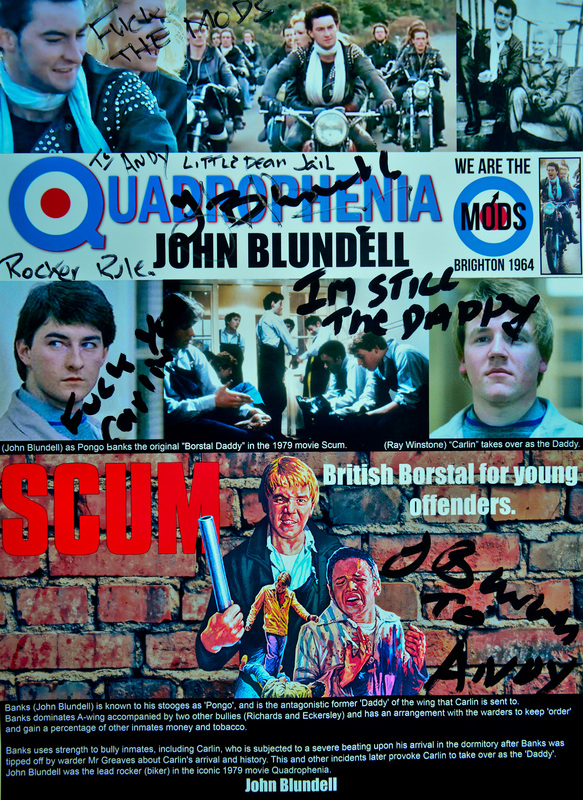 A MUST SEE EXHIBITION …. 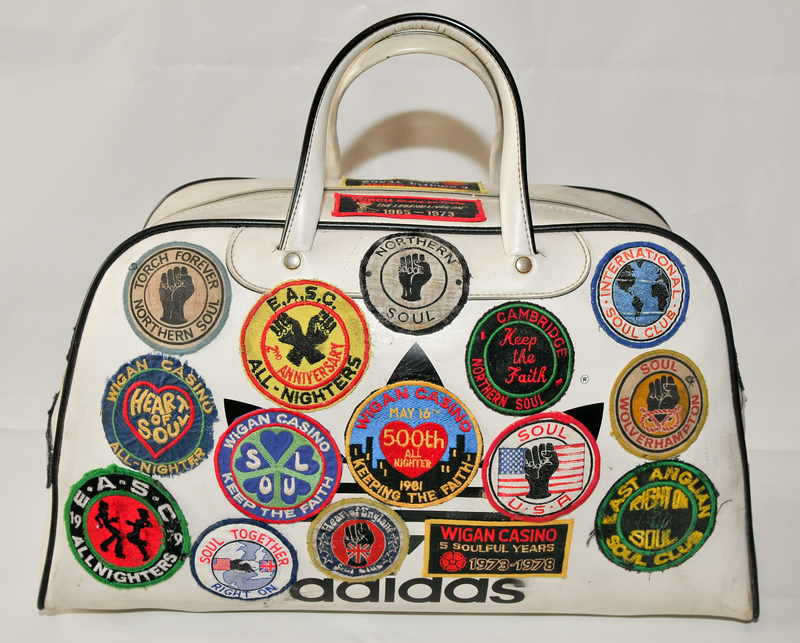 INCLUDING ONE OF THE LARGEST AND FINEST ARRAY OF VINTAGE 1970’S- 1980’S NORTHERN SOUL CLUB PATCHES , MEMBERSHIP CARDS, ORIGINAL WELL CARRIED PATCHED ADIDAS AND OTHER SPORTS BAGS, VINYL RECORDS AND SIGNED NORTHERN SOUL MEMORABILIA .